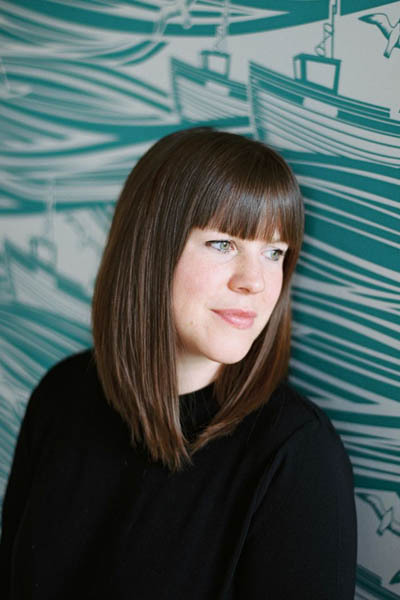 As I’m sure you have realised my home is in a constant state of decorating flux – nothing stays the same for long and I am always dreaming of new home improvements. As a result, I am constantly decluttering as each room gets overhauled. I have written before about my decluttering experiences and over time I have become a bit of a pro; I can now get rid of almost anything without batting an eyelid or making a huge mess, which is always the risk when turning a room on its head. However, the issue of what to do with the stuff I get rid of is a bigger problem. Back in October we even held a vintage jumble sale to find a home for all our decluttering efforts. Since then I have done another big bout of decluttering, this time focused on the living room as we put my makeover plans into action (always start with the decluttering!). Therefore, I am resorting to some good old fashioned eBay selling. 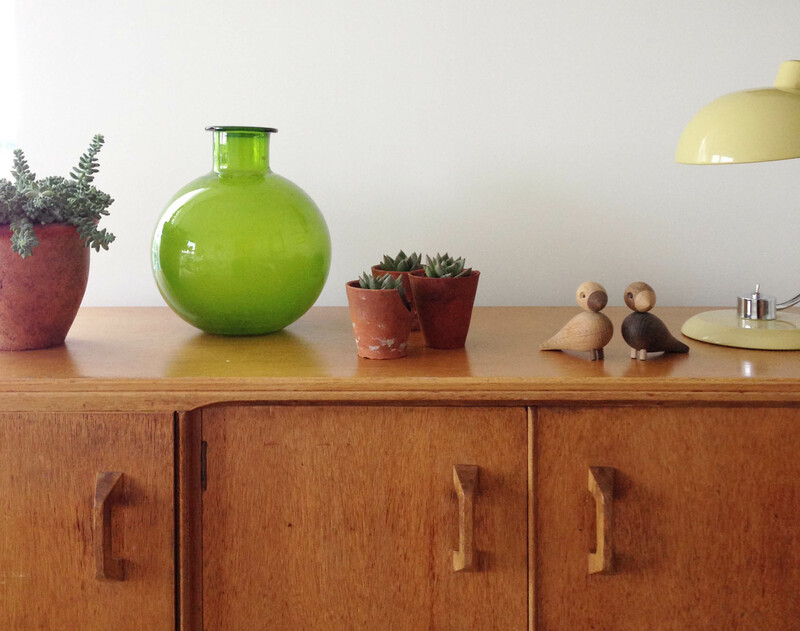 I have already managed to sell my G-Plan sideboard (sob!) as we just don’t have enough space for it and the yellow lamp in the picture has to go, too. I will also be selling my teal velvet loveseat, Lloyd Loom chair, large mirror from above my dining table, cushion covers and other bits. I am pretty experienced when it comes to both eBay buying and selling and have been doing it for years. This weekend one of my jobs is to list what we have to sell so I thought I’d share some of my tips, as I’m sure they may come in handy for some of you. I have sold loads of clothes on eBay, which is a total breeze compared to homewares that can be a tougher sell. I have already sold my sideboard and the yellow lamp will be listed this weekend. 1) Is it right for eBay? Generally speaking I think there are two different types of homewares that do well on eBay. 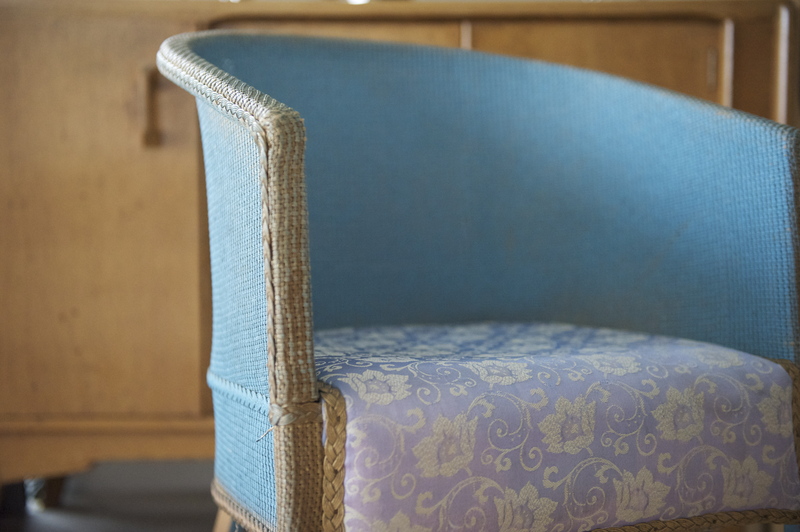 Firstly, discontinued or cut price mainstream furniture or home accessories and secondly, vintage one-off pieces. If what you have is more like jumble then it can be a bit of a hard slog. I have loads of tiny knick knacks that will probably sell for about £1 on eBay but I tend to think that for all the effort it takes to photograph, wrap and post something sometimes the £1 you get in return isn’t necessarily worth it. Why not give it to the local charity shop instead? You do need to remember that you do have to pay out to use eBay (i.e. they take a cut of your sale and charge you for certain listings) so thinking of alternatives can be a good way to go, whether it be a targeted Facebook group, Instagram or just try asking friends because they may have similar taste to you. I once had an armchair sitting on top of my dining table for a month – yes, a month! – because I expected to be able to sell it for only slightly less than the shop price (it had to live on the dining table because I live in a flat so you can’t fit an extra armchair in just like that). It was only when I really did my research and watched similar items selling for less that I lowered my expectations and finally sold it at half the price I thought it would go for. Be realistic and search similar listings to figure out the going rates. I always find that it’s helpful to gather everything that you plan to sell and keep it all separate and out of the way. The last thing you want is to list an item and then find someone in your house has used it after you’ve cleaned it or even broken it. Also, it just makes the process of tracking what you are selling and dispatching a sold item that much easier if you know exactly where it is. You do need to make sure that whatever you are selling is in a good state before you post it. The last thing you want is poor feedback as that really does have a negative impact on how willing people are to buy from you. Put cushion covers or blankets through the wash, dust furniture, give mirrors a polish. This is really obvious but it still astounds me how poor the photos are on listings, especially considering almost everyone has a decent camera on their phone these days. Take photos during the day in natural light, try to photograph what you are selling against a plain backdrop, take several pictures from different angles and just make sure they are not blurry! Also, make sure the main featured image isn’t a stock photo from a shop site, if you are selling something that can still be bought in the shops. Try to make the featured image stand out and catch the eye of any potential buyers. I use the eBay app as you can take photos on your phone and load them directly to the listing – so easy! Make sure you take a variety of shots. I will be selling this Lloyd Loom chair that I love but I won’t have space for it in my living room once it is redecorated. When you create your listing do a little research and make sure you know exactly what era the piece is from or what style it is so you can include these words in the title i.e. mid century, retro, Victorian, floral, Scandinavian. You want to catch as many potential buyers as possible when they are searching for homewares by including relevant key words. When it comes to describing your piece make sure you add as much detail as possible including all dimensions. The more information you can give the easier it will be for a potential buyer to make up their mind – if they have to get in touch to ask questions this becomes off putting. When ever you receive packages keep the boxes, bubble wrap, tissue paper or jiffy bag. This will save you lots on packing materials and it’s good to recycle. If you can offer postage because the piece is small enough then that’s great. However, if you have a large piece to sell if you list it as ‘Collection only’ this will put off a lot of people. I always say that I can arrange a courier and that the cost of that depends on where the buyer lives. Shiply is a brilliant way to organise a courier. It basically works on an auction-like basis and getting quotes is free. You give the details of what you are selling (you can even put in the number of your eBay listing) and then couriers bid for the job. So, for example, I recently sold a double bed and I had bids of £100, £72, £67, £52, £35 and £32 to courier it to Manchester. I obviously went with £32 (you can check the rating of your driver) and once you have accepted the bid you can then organise the pick up and drop off. If you live somewhere with UBER’s in operation try out their UBER XL service. I sold my G-Plan sideboard the other day to someone within London and it cost £17 in an UBER XL (larger than your average taxi) and very easy to organise using the app. 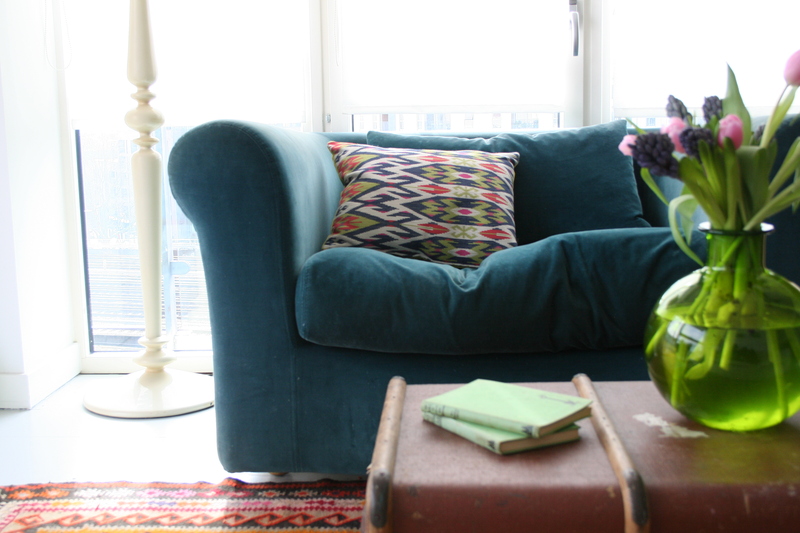 Sad to be selling my armchair as it was the first big piece of furniture that I bought when I bought my first flat ten years ago. I will definitely use Shiply to courier this to whoever buys it. Hope this is helpful if you haven’t sold on eBay before. Wish me luck for getting rid of my stuff! I sell clothes on a regular basis but like you find myself changing my interior regularly so want to start selling home items, furniture etc too. I’d love to see what you’re selling – would you add a link to your Ebay so your readers might be able to bid on your lovely items?And thank you for the great advice.